Flexform’s Groundpiece sofa and table with a Brig ottoman. Photography by Raymond van Zessen Photography. 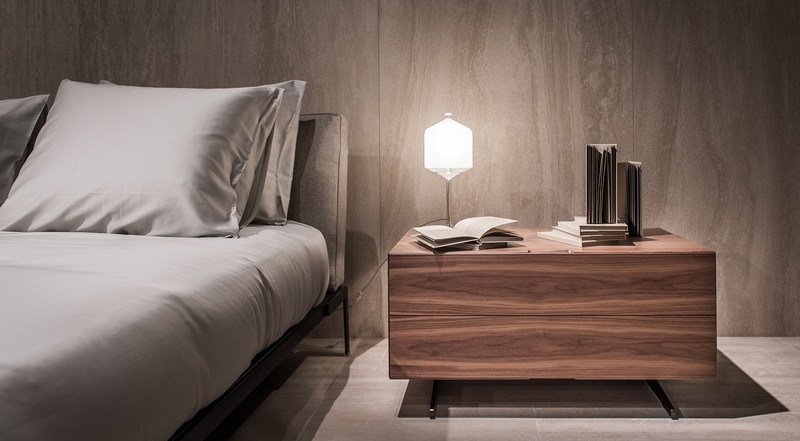 Italian furniture manufacturer has opened its 25th showroom. 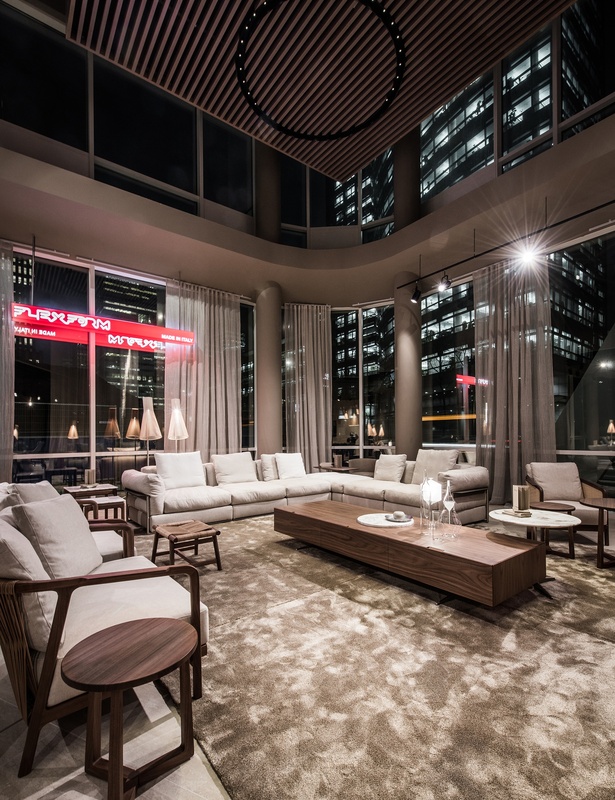 Located in Amsterdam’s emerging Zuidas district, the nearly 6,000-square-foot space features floor-to-ceiling windows that let abundant natural light into the space, which showcases the brand’s extensive line of residential furnishings. Flexform’s Ettore sofa, Giano ottoman, and Giano table. Photography by Raymond van Zessen Photography. An internal design team worked to ensure the interior conjures feelings of home. Wooden slatted ceilings and neutral upholstery in beige, ivory, and light taupe help create a relaxing atmosphere. 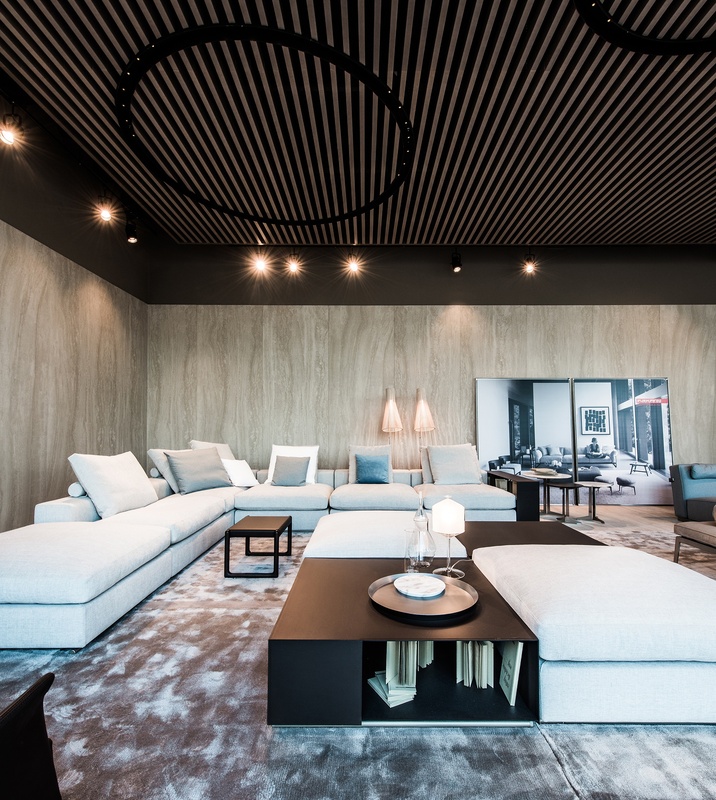 The design team demarcated the space into several living zones defined by monochromatic rugs. Abstract glass sculptures and Flexform shelving stocked with books about Italian culture backdrop the vignettes. Flexform’s Agave Bergere armchair, Filicudi ottomans, Lifesteel bed, and Piuma console. Photography by Raymond van Zessen Photography. Flexform’s Fly table surrounded by Isabel chairs next to a Piuma cabinet. Photography by Raymond van Zessen Photography. 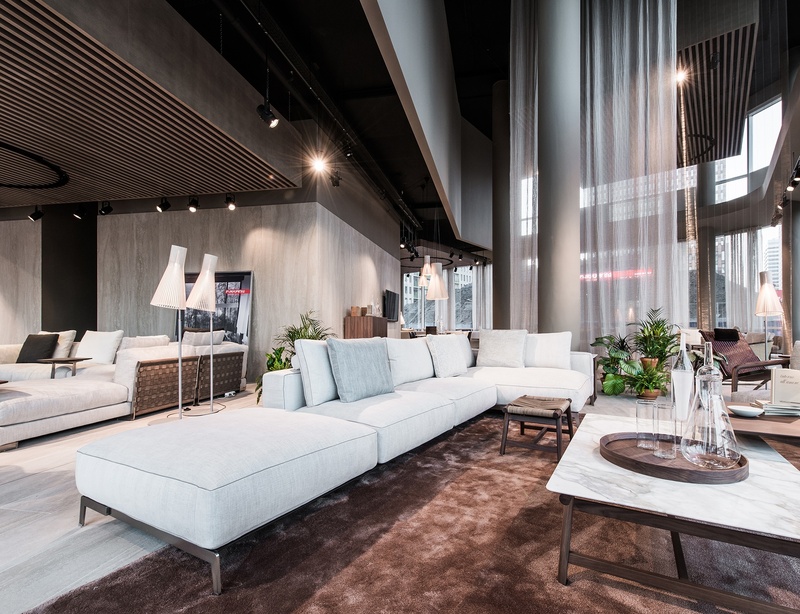 A milestone for Flexform and one of the brand’s biggest European showrooms, the Amsterdam flagship joins outposts in London, Sydney, Shanghai, and New York, among other locales. 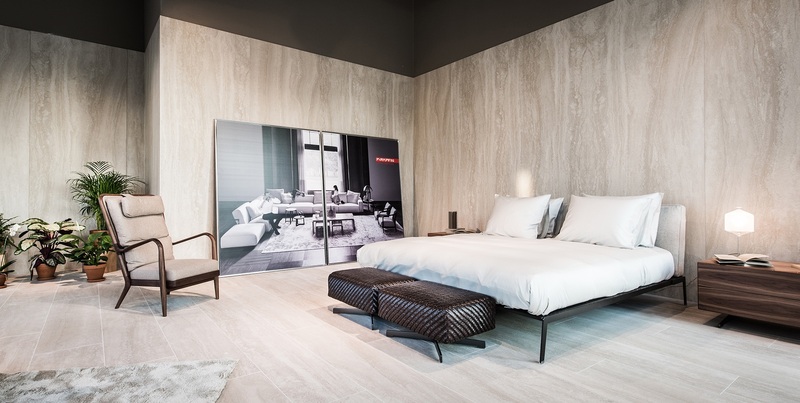 Flexform has more plans for expansion, with new showrooms in China and the United States on the pipeline for 2017. 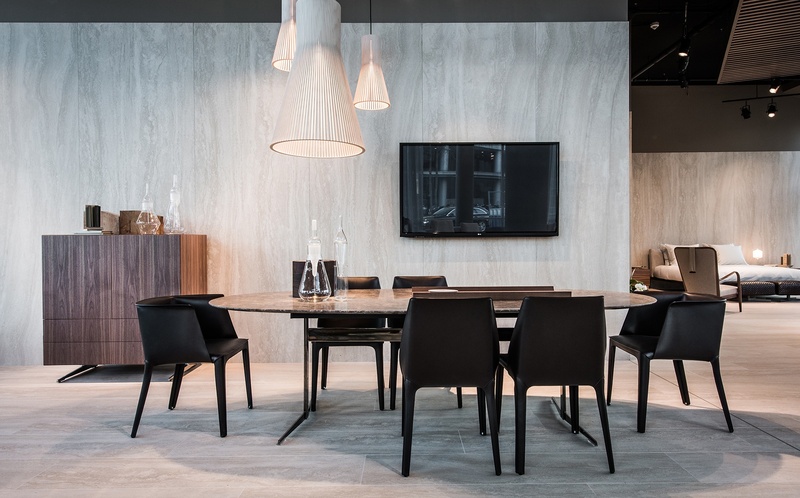 Flexform’s Piuma cabinet, Crono armchair, Jiff table, Zeno sofa, and Giano tables. Photography by Raymond van Zessen Photography. Flexform’s Piuma cabinet. Photography by Raymond van Zessen Photography. 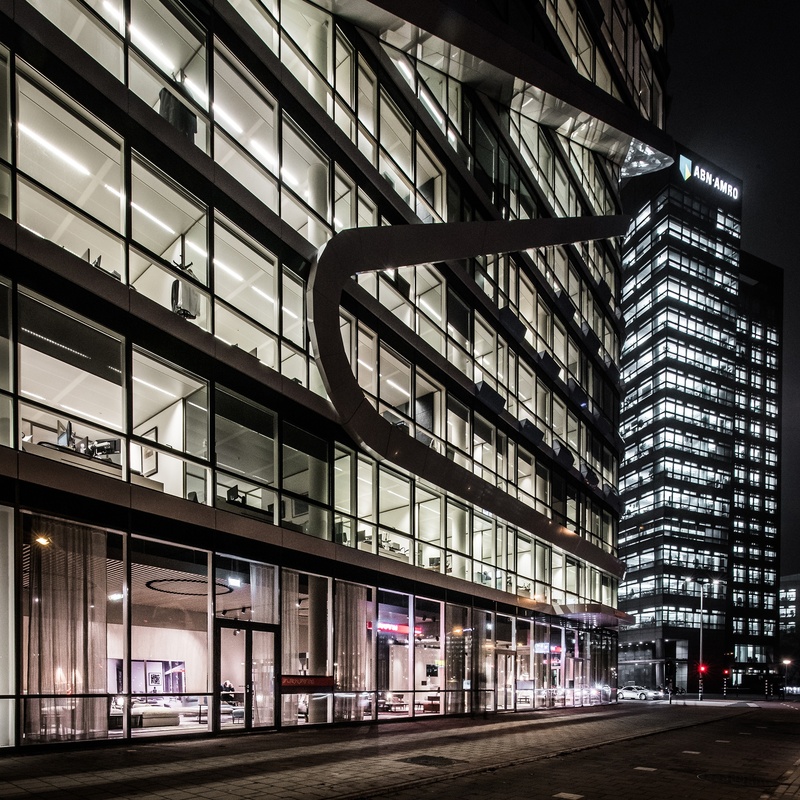 Outside the newly opened Flexform showroom in Zuidas, Amsterdam. Photography by Raymond van Zessen Photography.